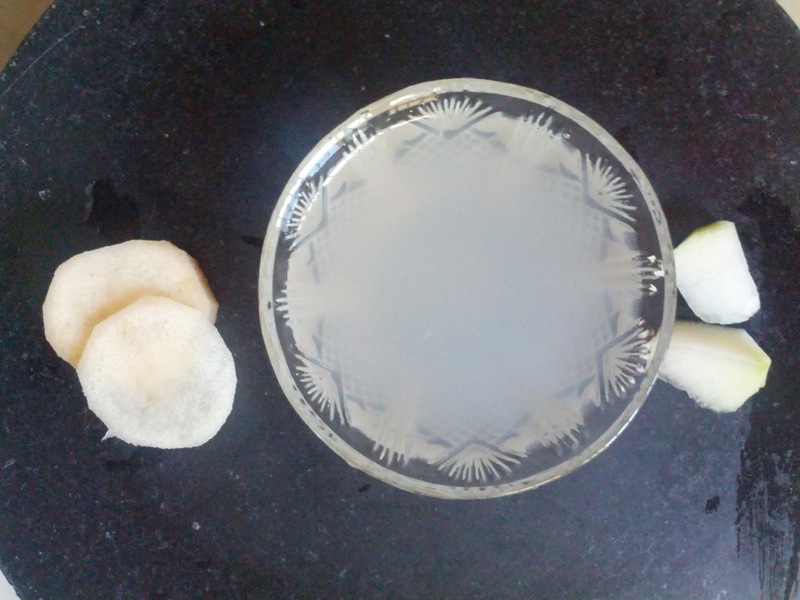 Take the extracts of the Ash Gourd & Banana Stem separately. Add water with both the extracts to get 3/4 glass of Ash Gourd juice and 1/4 glass of Banana Stem juice. Mix the juices well and drink.